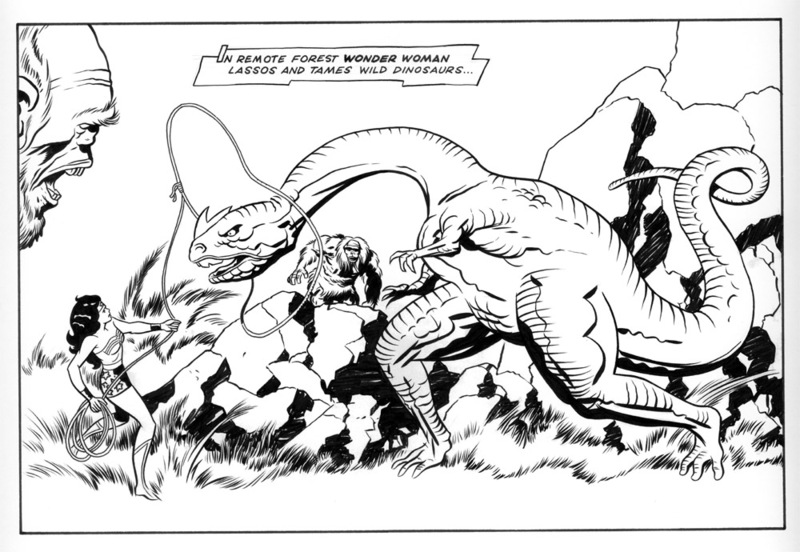 Posted January 28, 2013 in Conan, Jack Kirby, Jim Rugg, Wonder Woman. Jim is the co-writer/artist of the PLAIN Janes, Street Angel and Afrodisiac and his self-published title Rambo 3.5 won the 2010 Ignatz Award for Outstanding Mini-Comic. You can find more of Jim’s work at his website, blog and Flickr photostream. 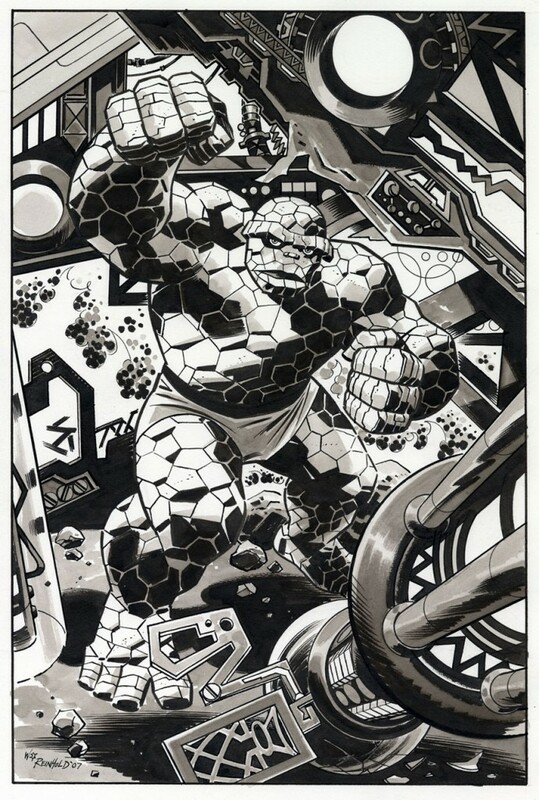 Posted May 18, 2011 in Bill Reinhold, Conan, Jack Kirby, The Thing. 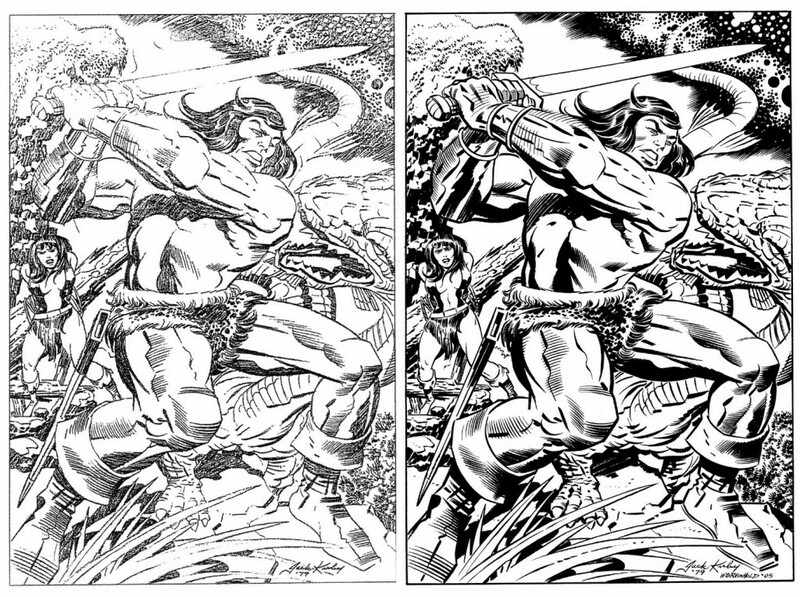 Today Kirby-Vision features two gorgeous pieces of Kirby inspired artwork courtesy of Bill Reinhold. 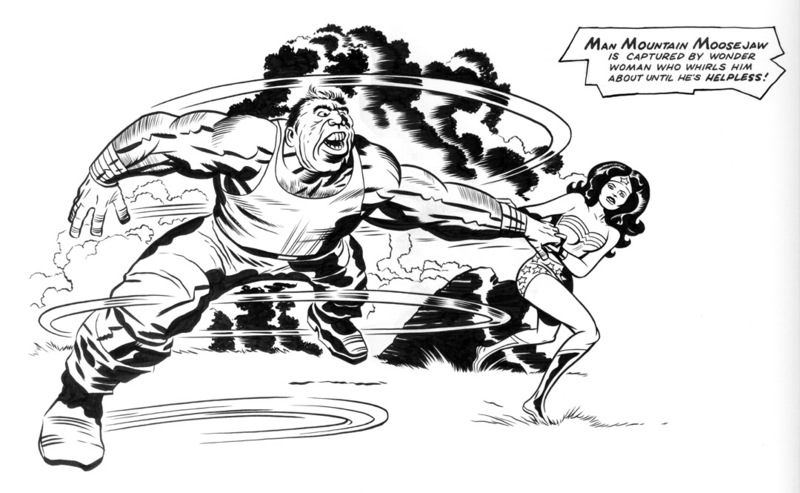 Above you will find commission artwork of a surly Ben Grimm in black ink and wash, and below Bill inks Jack’s pencils for a piece that originally appeared in Gary Martin’s The Art of Comic Book Inking. 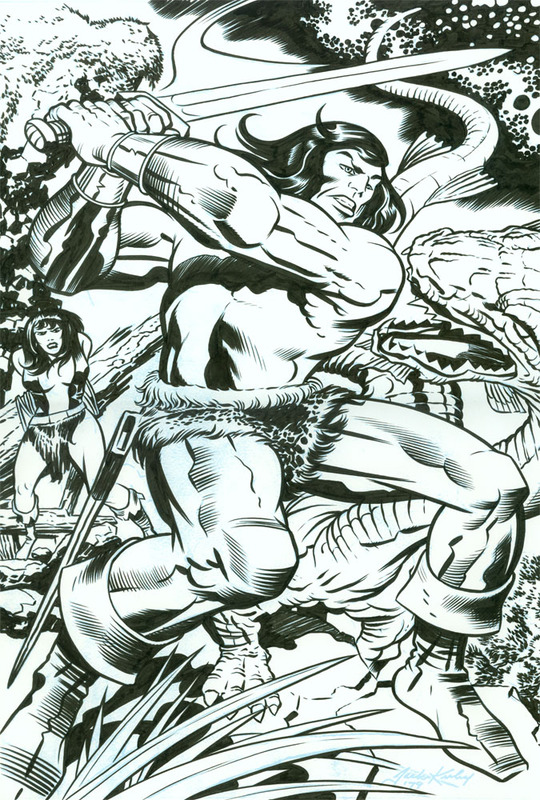 Bill is a renown penciller/inker who kicked off his comics career in the early eighties. Since then he has worked for all the major comic publishers on a host of books such as The Punisher, The Badger, Earth X, Green Arrow, Detective Comics and Jack of Fables. The co-creator of the Epic Comics mini Spyke, Bill is currently illustrating Magnus Robot Fighter for Dark Horse Comics. For more check out Bill’s extensive portfolio at DeviantArt.